There was a time when every video game license in existence was snatched up by Hollywood in a mad dash to secure the most potential blockbusters for the future. It was crazy. At one point, it looked like John Woo (Hardboiled) was going to make a Metroid movie. Peter Jackson (Lord of the Rings) and Neil Blomkamp (District 9) were going to make Halo! Gore Verbinski (Pirates of the Caribbean) was going to make BioShock! Oh for the halcyon days of 2008. By 2009 though, studios realized that teen romance licenses like Twilight were, as the kids say, the straight up noise and movie versions required about a tenth of the budget that video game-based movies would. So none of those potentially awesome movies got made and we all went back to playing games in peace. Until today when Sony Pictures signed Josh Trank, director and writer of Chronicle, to make a movie of Shadow of the Colossus. Deadline reported on Wednesday that Sony and Trank are now hunting for writers to work on the project. Trank’s Chronicle is an impressive movie. The story of three teenagers that suddenly gain superpowers, it manages to be both personal and have a huge sense of scale, an essential combination considering Shadow of the Colossus’ subject material. Fumito Ueda’s PlayStation 2 epic about a man toppling a series of giant stone monsters to save his dead lover is an intensely private experience. 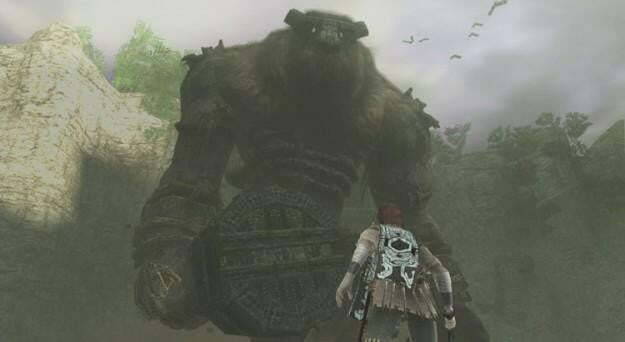 The bulk of the game is spent wandering barren forests and desert plains looking for the next colossus, and its emotional highs and lows come from that privacy and catharsis when fighting the giants. From that description, Shadow of the Colossus doesn’t sound like it would make for a riveting movie. There is really only one character with any dialogue and the main character, Wander, only says his horse’s name. Theatergoers have shown a whole lot more patience for modern silent movies though. WALL-E was mostly silent and The Artist was totally silent (though people who saw that kept asking for refunds.) If Trank goes quiet, Colossus could be a special sort of action movie. Meanwhile this is an impressive example of Sony corporate synergy. Part of why Sony’s huge business is so far in the red these days is because its myriad arms don’t work in tandem. Now that Kaz Hirai is at the steering wheel though, it makes sense that we’re seeing some of the intellectual property actually owned by the company put to use for the profit of its other wings. Why spend the money on new licenses for movies when Sony already owns licenses with huge audiences? They’ve already given up a couple to other studios. Neil Burger’s (The Illusionist) Uncharted is coming from Colombia while New Line Cinema is cooking up Heavy Rain with David Milch (Deadwood). A suggestion: Terry Gilliam directs Parappa the Rapper. Do it, Sony.